Chinsurah (also known as Hooghly-Chinsura or Hooghly) is a city in the state of West Bengal, India. It lies on the Hooghly River, 35 kilometres (22 mi) north of Kolkata (Calcutta). 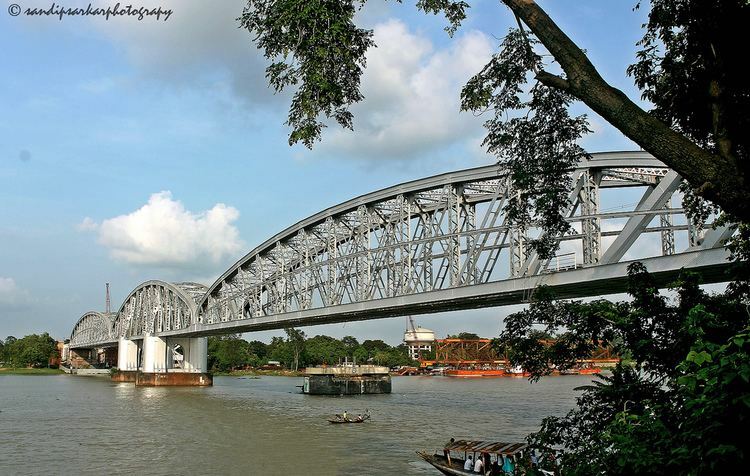 It is in the district of Hooghly and is home to the district headquarters. Chuchura houses the commissioner of the Burdwan Range. It forms a part of the Kolkata Metropolitan Development Authority (KMDA) region. The District Court building of Chinsurah is the longest building in West Bengal. Chinsurah is the home to the new state-of-the-art 1000 KW DrM transmitter of Prasar Bharti which enables 'Akashvaani Maitree' to be broadcast across Bangladesh. This Special Bangla Service of All India Radio was launched in the wake of the Bangladesh Liberation Movement and played a key role during the war, broadcasting Indian news bulletins in Bangladesh. It continued till April 2010, but was discontinued thereafter due to decommissioning of the Super Power Transmitter at Chinsurah. Chinsurah is also the home of the oldest Armenian church in India. Hooghly-Chuchura was a municipality formed by the merging of two towns, Hugli and Chinsura, in 1865. The names are spelled in other ways including Hooghly, Hugli, Hughli, Ugulim (in Portuguese), Chinsura, Chunchura, Chuchro and Chinsurah. The Grand Trunk Road (G.T.Road) passes through the town. Chuchura and Hugli are historic stations on the Howrah-Burdwan main line of the Eastern Railway. Ferry services on the River Hugli serves as a link with the district of North 24 Parganas. Hooghly-Chuchura is at 22.90°N 88.39°E﻿ / 22.90; 88.39. This city is on the flood plain on the right bank of river Bhagirathi-Hooghly. The Portuguese founded the town of Ugulim (Hooghly), in 1579, but the district has thousands of years of heritage in the form of the great kingdom of Bhurshut. The city flourished as a trading port and some religious structures were built. One such structure is a church dedicated to a charismatic statue of the Mother Mary brought by the Portuguese. 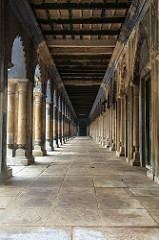 In the 17th century, political disorder struck the town and the Mughal governor of Bengal expelled the Portuguese. The fleeing Portuguese lost the statue in the river, but local people later found it on the river bank. The arrested Portuguese were taken to Delhi where a death sentence of trampling by elephants was decreed. When the emperor Shah Jahan heard this he ordered the priests released and granted a piece of land on the bank of the river Hoogly at Bandel, where the statue of the Mother Mary was reestablished. There the Portuguese constructed a church to house the statue, which still receives pilgrims today. The church was renovated in 1980s and has been declared as a basilica by the authority of Rome. In 1656 the Dutch erected a factory on the site of the town of Chinsurah, used as a base for the Dutch intra-Asian trade in commodities such as saltpetre, spices, cotton and indigo. 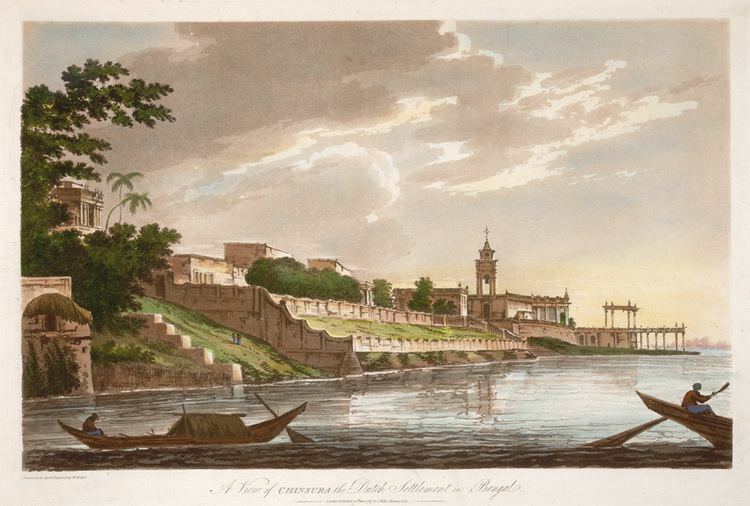 In 1759 the garrison of Chinsurah, on its march to Chandernagore, attacked a British force under Colonel Forde. The Battle of Chinsurah lasted less than half an hour and ended with the rout of the Dutch attackers. In 1795, during the Napoleonic wars, a British garrison occupied the settlement. The peace of 1814 restored Hughli to the Dutch. However, in 1825, the Dutch ceded many of their possession in India to the British, in exchange for the British possessions in Sumatra. Chinsurah and Hooghly played a role in the Bengal renaissance and the Indian independence movement. "Vande Mataram", India's national song, was composed by Bankim Chandra Chattopadhyay at Joraghat in Chinsurah; he had been an alumnus of the Hooghly Collegiate School. Nazrul Islam's revolutionary songs were penned while he was imprisoned by the British in Hooghly Jail. Chinsurah has three railway stations: Chinsurah (CNS) and Hooghly on the Howrah line and Hooghly Ghat (HYG) on the Sealdah line. The Chinsurah railway station is well connected to Howrah, Bandel, Burdwan, and other cities. A few passenger and express trains stop at the Chinsurah station. The Hooghly Ghat station is beside the Jubilee bridge, which is a connector between the eastern and the western side of the Ganges. Transportation in Chinsurah is mainly by bus, auto, rickshaw and toto. Buses from the stand go to towns such as Memari, Tarakeswar, Serampore, Chandannagar, Arambagh, Bankura, Digha, Kalna, Jirat. Apart from being connected by railway services, Chinsurah is well-connected to Naihati by ferry services, which is a delightful experience. As of 2011 India census, Hugli-Chinsurah had a population of 5,520,389. Males constitute 51.06% of the population and females 48.94%. Hugli-Chinsurah has an average literacy rate of 82.55%, higher than the national average of 74.04%: male literacy is 87.93%, and female literacy is 76.95%. The famous Chinsurah Court building is the longest building in West Bengal. Durga Puja, Eid, Jagadhatri Puja, Maharam, Kartick Puja, Kali Puja & Deepawali, Saraswati Puja, Lakshmi Puja, Navabarsho (Bengali New Year), Basanti Puja, Manasa Puja, Christmas, etc. are the main festivals celebrated here. State Bank Of India, State Bank of India Agricultural Divisional Branch (ADB), Bank of India, Indian Bank, Allahabad Bank, Punjab National Bank, United Bank of India, Uco Bank, Syndicate Bank, Bank of Boroda, Indian Overseas Bank, Axis Bank, HDFC Bank, The Hooghly Cooperative Credit Bank Ltd., Hooghly District Central Cooperative Bank, Canara Bank, Union Bank, Oriental Bank of Commerce, IDBI Bank, ICICI Bank, Corporation Bank. The town was home to Jyotish Chandra Ghosh (Mastar mashay), hailed as a guru by Netaji Subhas Chandra Bose. Notable figures associated with the town include Sarat Chandra Chattopadhyay and Bhudev Mukhopadhyay.Also, Bankim Chandra Chattopadhyay wrote the national song of India in Joraghat (in Chinsurah), which is a precious heritage for all the residents of Chinsurah, Freedom fighter Bhupati Majumder, Bijoy Modak, Mathematician Narayan Chandra Ghosh. William Carey, one of the earliest European missionaries in India, also stayed at Chinsurah for a while, at the hotel of Joachim Spiegel.